The BBC‘s David Ornstein has revealed that people at Arsenal have lost some confidence in the development of Dinos Mavropanos (via Arseblog). Dinos Mavropanos isn’t the first Arsenal youngster to have a reputation which is larger than his time on the pitch may suggest. The Greek defender signed for the club twelve months ago but has made just four Premier League appearances for the Gunners. 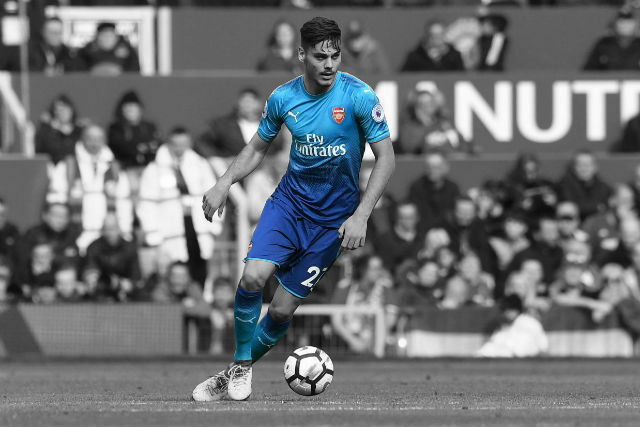 Mavropanos has been injured for the majority of the season but is now back and fit at a time when many of the club’s other defenders are suffering from knocks of their own. It seems like the perfect time for Mavropanos’s breakout but the BBC‘s David Ornstein has suggested that things are more complicated. “He was extremely highly thought of, Mavropanos. The idea coming into the season – from a number of people I spoke to – was that he would challenge for a starting berth at centre half,” Ornstein said in an interview with Arseblog. “I’m not sure anybody quite knew the extent of his injury. It’s quite remarkable how long he’s been out for. “I’ve asked about Mavropanos and it seems there was some concern in terms of his calmness, whether he was a little bit nervous, a bit anxious when he came on the pitch and prone to error. “I don’t think that the level of regard so far is quite as universal as it might have looked when he was emerging at the end of last season and into the summer. It’s an interesting series of quotes from David Ornstein. Many Arsenal fans think highly of Dinos Mavropanos but perhaps the reservations of the club’s coaches are well founded. As Ornstein suggested, the only way to find out whether Mavropanos is up to the task is to play him against Huddersfield on the weekend.